Our Kids Textile Fraileras in Bordeaux were inspired by the spanish countryside with its hills covered in wine-grape vineyards and olive tree orchards. These sandals are sure to add color any outfit with their wine and berry hued stripes with olive green, warm orange, and sand colored threads sprinkled in between. 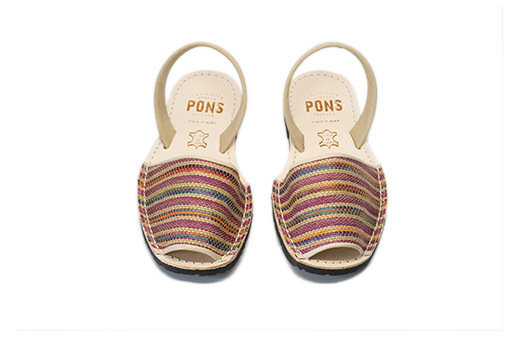 Handcrafted on the Mediterranean island of Menorca, Spain, our kids avarcas are made with high quality woven canvas lined with natural leather, have sturdy leather heel straps and a lightweight rubber sole.